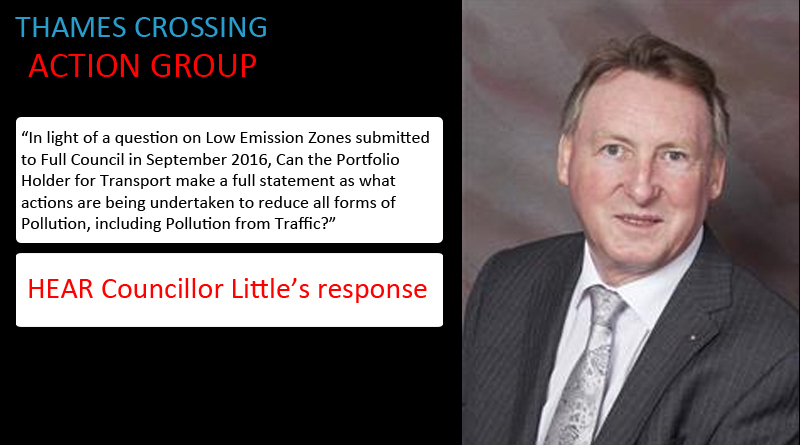 As you will know we asked a question at the Full Council meeting on 27 Sept 2017, this is where you can hear TCAG Pollution question answered by Councillor Brian Little. Since then, the actions set out in Section 4.2 of the report have been progressed. A programme of weight restrictions and advisory HGV routing has been progressed across the borough. Following various bilateral initiatives with private sector and police partners, the Council is re-launching the Freight Quality Partnership in October, with particular emphasis on encouraging more responsible behaviours from HGV drivers in avoiding, where possible, residential areas. Variable message sings to advise traffic of network problems and advise on alternative routes have been installed. On the 15th June, the Council ran a pilot programme to tackle idling outside of schools which was attended by myself, together with the Public Health, Strategic Transport and Road Safety Teams. The scheme engaged with two schools, Purfleet Primary and Woodside Academy. The purpose of this project is to engage with parents who leave their cars running outside the school gates at pick up and drop off and make them aware of the impact on the health of the children and the environment. 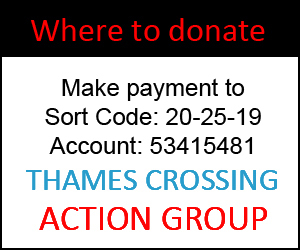 “Thurrock has been in dialogue with Transport for London over the last year regarding the operation of their existing Low Emission Zone and their plans to roll out Ultra Low Emission Zones by 2020. We are keen to learn from London’s experience, but are mindful that Thurrock has a very different pattern of trip making and vehicle usage. 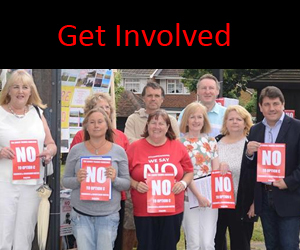 Rolling out a London style Lower Emission Zone in Thurrock is not a viable option at the present time.